Laugh and Feed the Hungry with Chuck Nice! Take down hunger and have some laughs with Philly’s own Chuck Nice! Get your laugh on and take down hunger with Philadelphia native and renown comedian Chuck Nice at self-produced Til’ Death. This November 15th, Nice will be bringing down the house at grandiose Top of the Tower. Nice, known for his role on the VH1 comedy series Best Week Ever, is an 18 year veteran of the comedy field and known for his edgy, story-telling comedic style. Chuck has also been featured on truTV’s World’s Dumbest, NBC’s The Today Show, and is the current host of HGTV’s How to Buy Like A Mega-Millionaire and Home Strange Home. Metrospect Events…Creating Nights to Remember! Press Release your way to Perfect Media! Communicating effectively is vital for your company when it comes to press releases. Without the right message, your company’s standing with the media can take a turn for the worse! Metrospect can take your company’s message and formulate it into something newsworthy that media outlets will be unable to ignore. Don’t do it yourself, we have 20 years under our belt! If you don’t communicate your words to the media properly, they in turn won’t relay the message to the public properly! Think of a press release as your ticket to publicity — one that can get your company coverage in all kinds of publications or on TV and radio stations. First, be sure you have a good reason for sending a press release. A grand opening, a new product, a record-setting sales year, a new location or a special event are all good reasons for a press release. Second, make sure your press release is suitably targeted for the publication you’re sending it to. The audience of the publication should fit the demographic you want to target. Metrospect can reach your prime consumers and word the press release in a way that will push them towards your company. Avoid a media meltdown and reach Metrospect at 215.922.1862 to get your best press release yet! Halloween is just around the corner-time to find a costume and an event! Get creative-whether you want to be a movie character, a nurse, witch or pumpkin, dress up! 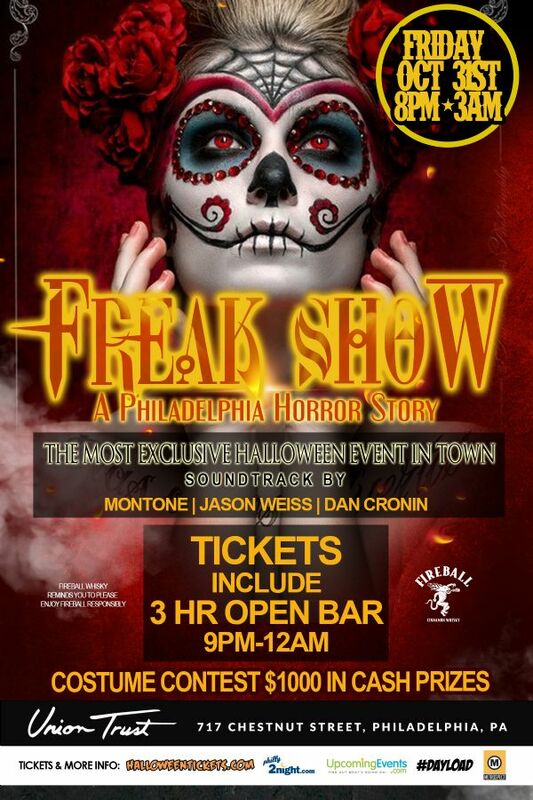 Luckily Metrospect Events is busting out yet another top of the line event-Freakshow: a Philadelphia Horror Story. This event is being held at the new Union Trust building and features sound from Philly’s top DJ’s including our own DJ DSC, Montone aka #dayload, and Jason Weiss. Tickets include a 3-hour open bar as well as a $1,000 costume contest! We already were voted Best Event of 2014 for last year’s Hair O The Dog event-so you know we can put on one hell of an event! Don’t sit around and pass out candy again this year, get in the spirit and join the rest of Phfor the best Halloween party of 2014! From LinkedIn to Twitter, social media presence is everywhere! Staying on top of all the up and coming social media tends is a must for your business to stay smart and savvy. Sometimes, however, it’s not simply about posting, it’s about listening too. Social listening is a new trend on the social media scene-opening your eyes and ears and listening to your consumers. Sharing content is important, but responding to those who react is equally as valuable. Replying to those who comment on your posts and shouting out new followers is the ideal way to build a bond with your audience and provide more value to the content you share. A valuable yet unexpected new app that can be integrated into your social media regime is Snapchat, the video-sharing medium that has exploded in popularity amongst smartphone users. Posting videos allows for companies to communicate differently than they would via photographs. Infographics have risen in popularity as well as with the new trend in images being used for information. Infographics have a high share rate, with people all over the world reposting and sharing these informative images on their own social media sites. Another skyrocketing social media platform is Google+, where 300 million people are using it every month. Stay trendy this season by implementing Infographics, social listening, Snapchat and Google+ into your everyday social media strategy! Sending the right Message-Market with Metrospect! Corporate Events-Don’t do it alone!